Delhaize Group operates in seven countries across three continents as a food retailer. Its primary business is managing the operations of food supermarkets. Founded in 1867 by Jules and Auguste Delhaize in Charleroi, Belgium, the Delhaize Group was originally a wholesale supplier to retail grocery stores. The company expanded into the supermarket trade in 1957. Formed as a limited partnership in 1962, the Delhaize Group converted to a limited liability company and purchased 35 percent of the southeastern grocery chain Food Town Stores Inc. in 1974. Delhaize upped its stake in the company to 52 percent in 1976 and, seven years later, renamed the business Food Lion Inc. To expand even further in the United States, Delhaize had its subsidiary purchase Kash n’ Karry in 1996 and formed the holding company Delhaize America three years later. Food Lion and Kash n’ Karry became separate operating subsidiaries. Delhaize continued its growth in America with the acquisition of the Hannaford Bros. Co. supermarket chain in 2000 and, in 2003, the J.H. Harvey Co., which opened markets in Georgia and Florida. In 2004 Delhaize expanded into the Massachusetts and New Hampshire market when Hannaford Bros acquired Victory Distributors Inc. – later renamed Victory Super Markets. 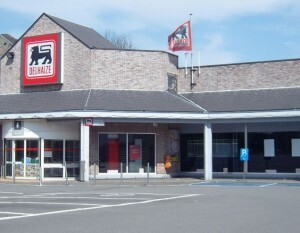 The Delhaize Group attempted expansion into the Czech market, but abandoned the effort in 2007 when European supermarket chain Billa purchased all 97 of Delhaize’s stores. Similarly, it left the German market in 2009, selling four supermarkets to the REWE Group. While the Delhaize Group operates in four countries in Europe and one in India, Delhaize America subsidiary Food Lion is its largest entity. Delhaize America was ranked number 10 of the Top 75 North American Retailers in 2006. 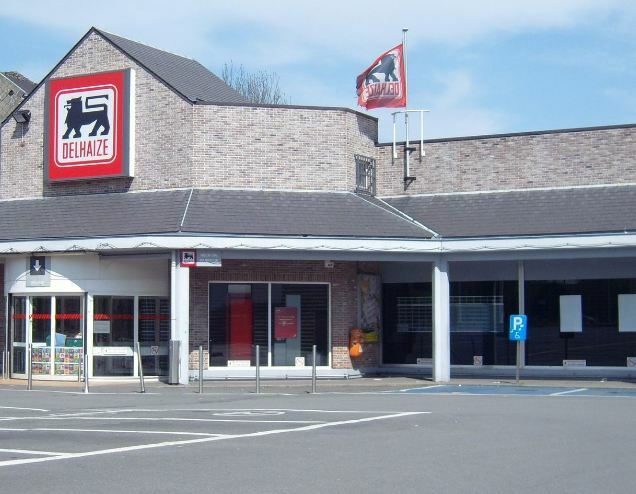 Although 85 percent of Delhaize’s operations are related to the supermarket industry – which represents 95 percent of its total sales as of 2009 – the company also operates other types of stores, namely convenience and specialty stores. The Delhaize Group is determined to continue its successful market growth – even in difficult economic times – by evolving its market strategy to suit consumer needs using the company’s values of determination, integrity, courage humility and humor. The company is working toward its goal of opening 250 lower-end grocery stores by 2012 and expand its presence in Indonesia, Romania and Greece.